The relief together with the fragment showing the three apostles was probably the central part of an epitaph erected in memory of a deceased person. The epitaph most probably stood in the bishopric cathedral of Nyitra. 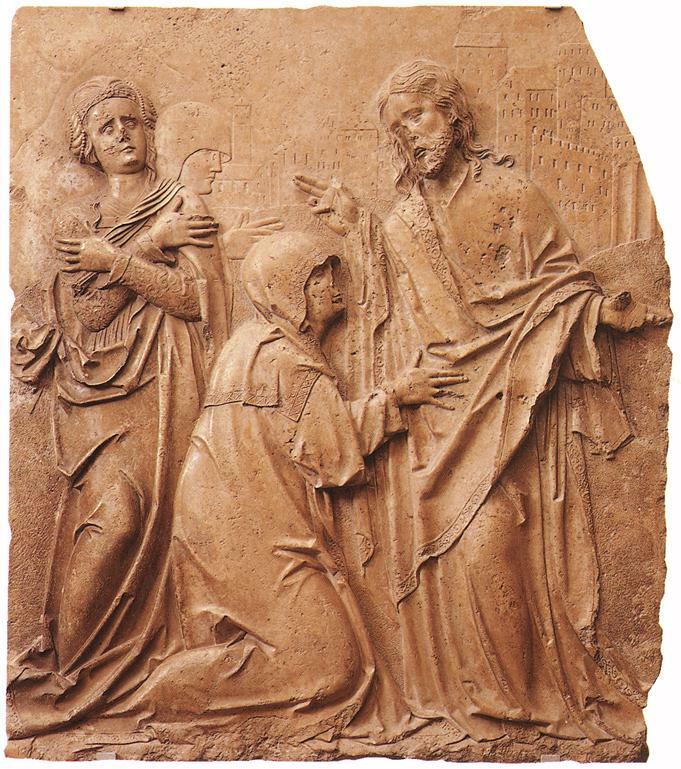 The iconographical curiosity of the relief is that the Virgin touches Christ's attire in a way reminiscent of the "Noli me tangere" representations. The figures of Virgin and Christ, and especially the depiction of Christ's head, prove the artist's familiarity with a woodcut of the same subject in Durer's series, The Small Passion. The balanced composition, together with the long folds of the robes and the tranquil brush-work, point to the influence of northern Renaissance art, and shows similarities with the art of Hans Daucher and Peter Vischer in particular.